I'll kick this one off - I'm re-reading Raymond E, Feist's Magician. Been over twenty years since I read the first of this epic series. That's epic in the long-running sense rather than the magnificent literature type sense. I liked the first couple of his books. Epic is indeed the right word for it. But after about the first five or so they started to get a bit samey-same. I've read some heavy going books lately, Don DeLillo, Bret Easton Ellis et al - just after a bit of fluff for a bit. Feist is definitely fluff. Have restarted Jim Butcher's "Codex Alera" series, description stolen from wiki - The series chronicles the coming-of-age of a young man named Tavi in the realm of Alera, an empire similar to Rome, on the world of Carna. Every Aleran has some degree of command over elemental forces or spirits called furies, save for Tavi, who is considered unusual for his lack of one. As the aging First Lord struggles to maintain his hold on a realm on the brink of civil war, Tavi must use all of his intelligence to save Alera. Apparently came from this- The inspiration for the series came from a bet Jim was challenged to by a member of the Del Rey Online Writer’s Workshop. The challenger bet that Jim could not write a good story based on a lame idea, and Jim countered that he could do it using two lame ideas of the challenger’s choosing. The “lame” ideas given were “Lost Roman Legion", and “Pokémon”. "The Poison King" by Adrienne Mayor. A biography of King Mithridates VI. of Pontus, one of Rome's most ardent and successful foes in the 1st century BC. All school related, some currently reading and some recently finished. Heavy in content, almost too heavy. Nonetheless quite informative in the way that multiple forming nation-states, imperial powers were conducting conflict, and adapting to the needs of conflict. Also there shortcomings, be it in managing their logistics, financing their campaigns and managing multiple-front warfare. I had no idea that the 1600s was nothing but non-stop warfare, interesting but difficult reading that deserves a second reading. Pretty much about how the Indian Nationalists used the concept of "Bharat Mata" or "Mother India" as a construction of religious ideology within the region with the inclusion of geographical body of India. How much this concept grew and developed, during colonial era and afterwards for Indian nationalists. It was an interesting read, but honestly not enjoyable. A fictional portrayal of real event that took place during the 1994 Rwandan Genocide, the mass killing that took place at a technical school of roughly 50,000 Tutsis. I am not usually a fan of fiction, but it was a interesting look at the genocide from a creative perspective. Also just been so deep in the Transfer of Power 42-47 volumes, pretty much read all of volume XII for my research paper. Now heading into volume XI, writing a paper on the influence of monocle wearing, tea-drinking parties influence on the violence that occurred during the partition of India that would like get me banned if I posted it here. Read about eight different books this semester, but I won't bore you all with it. Anthem by Ayn Rand. Short story on audio. Sci-fi that carries on themes also found in Atlas Shrugged. Just finished Greg Bear's Eternity. Was a bit meh as a sequel compared to his epic Eon. Now that was and is still one of my favourites. Reading Heinlein's Stranger in a Strange Land now. And in non-fiction , AJR Cormack - Famous Rifles &Machine Guns. 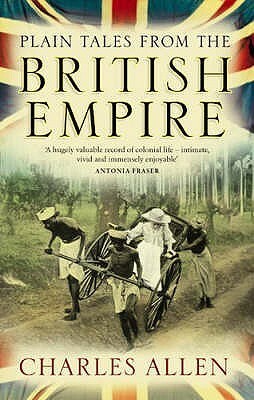 Been reading Plain Tales From The British Empire by Charles Allen. Quite entertaining so far. Just finished the first section on the British experience in India. Next is the British experience in Africa. She is a local author I talk with occasionally. Her book is set in a fantasy world with all the races being her own creations instead of generic Orcs and etc. She even does her own artwork. Despite liking "Starship Troopers" and "The Moon is a Harsh Mistress" alot, I just couldn´t get into that one...how do you like it so far? Currently I´m reading "Hommage to Catalonia" by George Orwell. The book is an account of his experiences of his time fighting as a volunteer in the Spanish Civil War. Really like it, as it laid the ground work for "Animal Farm" and "1984". Also it is a great eye-witness account of the SCW. Only in German unfortunately. It is an account of recorded conversations mainly made by the British of German POWs. Covers the war in great detail and is free of any contemporary judgement, if you see what I mean. An extremely interesting book. Yeah I have to agree. I am still waiting for it to grab me. After I read my first Heinlein in "Friday" , which I really enjoyed , I thought this is the one to try next. Let's see how it goes.